Who said robots can't be cute? It's quite probable that we will meet more and more robots, autonomous vehicles and devices in the future, but to some, this may be annoying, unpleasant, frustrating, or even scary. 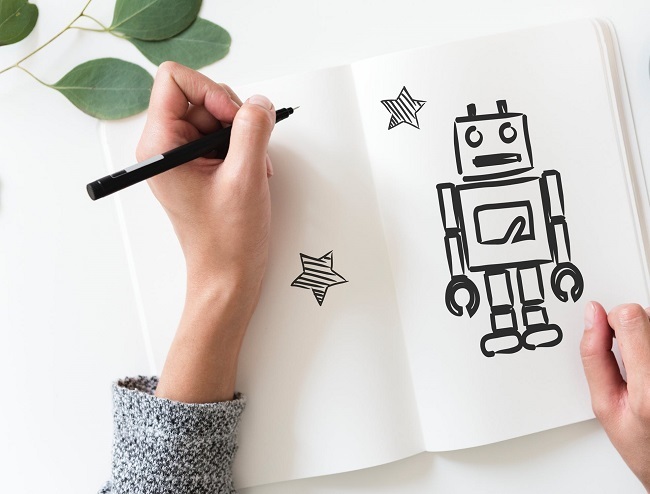 Making robots behave and look likable is therefore an important step, especially when it comes to robots used in jobs that need direct interaction between humans and the devices. Hungarian researchers of the ELTE Department of Ethology argue that robots should be designed to behave somewhat like animals, especially dogs, in order to make them easily acceptable for humans. While human-like robots are to some extent disagreeable to many people, researchers noted that most of us regard dogs as family members, and generally we can communicate with them well. In their questionnaire, researchers asked people what qualities they like in dogs, and most of them mentioned that  unlike robots  dogs are loyal, affectionate and intelligent. They also appreciated the unconditional love of the dogs, and the fact that they have a personality, and can show emotions. Scientists believe that designing robots in a way people could see these traits in them is a great way to make them more acceptable. People were also asked how they think dogs show their loyalty, faithfulness and intelligence. Most of those who answered the question believed that physical contact, tail-wagging and searching for the company of humans were the signs of these traits in dogs. Researchers think giving robots these traits will make them likable in the eyes of humans, and could also help building a long term relationship between humans and their robot companions. Animal-like robots have always been quite popular, which could be the reason we can see new examples showing up at tech shows from year to year. Robots that resemble dogs are particularly common  and these kind of devices usually act somewhat like pets, and can be used as helpers around the household. One great example is Consequential Robotics' lovely robot dog  called MiRo , who is designed to be a companion for elderly people. It can remind the elderly user to take the medicines, or suggests a tea from time to time to keep its owner hydrated. MiRo keeps an eye on the outside temperatures, too, and warns its owner when it's too cold outside. In case the elderly person falls, the robot dog can call help. Though not animal-shaped, Mayfield Robotics' Kuri is also a really cute and lovable little robot, that is not only able to monitor the connected devices, but can also respond to its user's sound, facial expressions and head movements, and recognize specific people. The robot's head and eye movements can give us the impression of emotions, which makes it easier to actually like the little device. Robots can also help children in learning  which is the main mission of the minimalist-looking, yet incredibly charming Leka. Leka helps children with autism in improving their cognitive and motor skills by providing a wide range of interactive games. The ball-shaped robot will repeat the same things as many times as needed, and beside its predictability, Leka is also able to show different colors and facial expressions, which may help children to engage in learning. SoftBank Robotics showed the World that even humanoid robots can be really cute and popular, when they manufactured Pepper. This child-faced robot companion can recognize the emotions on its human owner's face, then react appropriately, and it can also dance, joke, or just laugh together with its user. Cute robots don't always just function as companions around the homes  there's one called Xian'er answering questions and chanting mantras in a Buddhist temple in China. The robot monk holds a touchscreen on which visitors can get answers for 20 questions about the Longquan Temple and the religion.